If you’ve ever enjoyed a burrito bar or a meal at a traditional Mexican restaurant, there’s a good chance that you’ve fallen in love with fresh carne asada at some point. A Mexican food staple, carne asada is the perfect combination of juicy and flavorful beef. Read on to learn more about carne asada, which recipes it’s commonly used in, and how to make it for yourself. 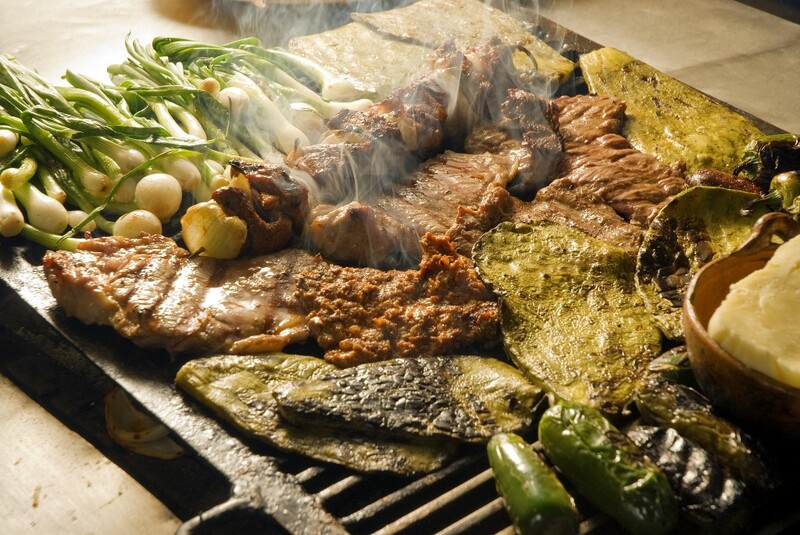 Carne asada literally translates to “grilled meat” in Spanish. Typically, however, it’s made using a marinated form of beef steak, such as flank or skirt steak. This type of meat is generally affordable when compared to other cuts of steak, making it a popular option for those in need of delicious Mexican recipes on a budget. Carne asada is extremely versatile, as it can be served up on its own or incorporated into any number of dishes as a main ingredient. It’s always cooked at a high temperature, and the outsides of the meat are typically seared to give it a nice crust. While carne asada can be its own dish, it’s most commonly chopped up and used in other Mexican dishes. For example, carne asada is a very popular ingredient in burritos and quesadillas alike. It goes well with other burrito and quesadilla ingredients, such as sour cream, cheese, lettuce, pico de gallo, and salsa. Once you have all of your ingredients together, go ahead and combine the beer, lemon juice, lime juice, garlic, onion, and pepper into a large bowl until mixed well. Then, add the flank steak to the bowl and make sure it’s covered evenly with the marinade. Allow it to marinade in the fridge at least 30 minutes. When it’s time to cook the meat, heat a grill to about 500º F. Remove the steak from the marinade and pat dry before seasoning with salt and setting aside. Meanwhile, add a half cup of beer to a saucepan and bring to medium-high heat, along with the remaining marinade. Mix in the brown sugar. Place the steak on the grill and cook for about eight minutes on each side before removing and letting it rest for a few minutes. Chop the steak up into small pieces and cover with the remaining marinade sauce. Serve in a burrito, taco, or incorporate into any other Mexican recipes with beef that you enjoy. For fresh carne asada available in many types of favorite dishes, be sure to stop by your local Macayo’s and try our time-tested recipe!